How do you take a classic game like Sonic the Hedgehog and make it better? Hack in all the musical cues from The Price is Right, that's how. The video above may have been uploaded over a year ago, but it is too perfect not to share now. 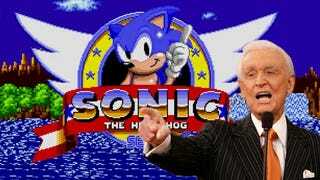 It shows what appears to be a functioning ROM hack that replaces all the music from Sonic The Hedgehog with classical musical cues from The Price is Right. Much as I love Sonic music, I would argue this makes it better — if only for the failure horns. KNUCKLES THE ECHIDNA, COME ON DOWWWWWN.